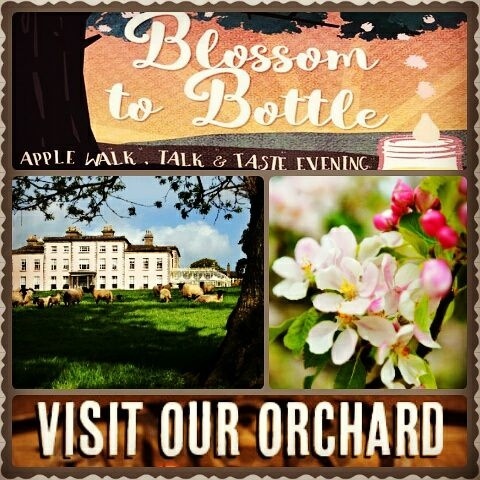 For a more unique tour experience, learn something new and partake in a fun & educational tour of our walled garden, apple orchards, see our crush house, fermentation plant and distillery followed by a tasting of our Longueville House Cider, Cider Mór and Apple Brandy. Of the 500-acres that make up the estate of Longueville House, 25 are planted with apple trees from which the O Callaghan family produces one of the best indepentant craft apple ciders in Ireland, some of this is then double distilled to make Irelands only Apple Brandy. With the guidance of Dan Duggan - Longuevilles’ chief Apple Brandy Distiller and Cider Brewer, you will discover the pleasure of this unique process here at Longueville House where it all happens. Why not stay for Lunch? Afterwards, Chef/Proprietor William O’Callaghan along with his team will prepare a luncheon including what’s in season and best available from our Walled Garden and Estate, all washed down with Longueville House Cider's and finished with a toast of Apple Brandy! Tours are available for groups of 12+ guests, available with or without Luncheon. The perfect activity for Corporate groups or Parties especially when combined with Falconry also available on the estate!